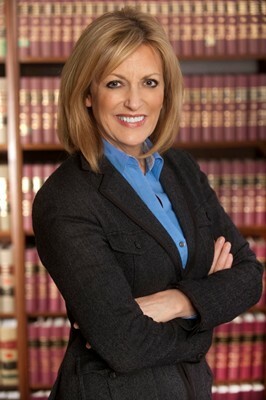 M. Katherine Michael has worked as a Paralegal with The Meisner Law Group, P.C. since 1984. Ms. Michael received her Bachelor’s Degree from Oakland University and an American Bar Association (ABA) approved Paralegal Diploma from Oakland University. She is a member of the Paralegal Section of the State Bar of Michigan and has served as Vice President and Regional Director of the Legal Assistants Association of Michigan. Condominium Operation: Getting Started and Staying on The Right Track; 2002 Co-author with Robert M. Meisner, Esq. Condo Living 2: The Authoritative Guide to Buying, Selling, and Operating a Condominium; 2013 Assistant to author, Robert M. Meisner, Esq. Condo Living: A Survival Guide to Buying, Owning and Selling a Condominium; 2005 Assistant to author, Robert M. Meisner, Esq. The Paralegal/Legal Assistant Section of the Michigan State Bar honored Meisner Law Group paralegal Kay Michael with its Shining Star Award for the month of March, 2019. “M. Katherine Michael has been a paralegal with The Meisner Law Group, P.C. which specializes in Community and Condominium Association Law, a very specialized area of law, for 35 years. She works harder than any other paralegal in the firm, meeting with clients in the evenings and weekends, attending annual corporate meetings in the evenings and weekends, meanwhile she is a very effective manager for the law firm. Even though she fills many shoes, her work ethic is beyond reproach and she is meticulous with regard to her work product, keeping up with changing laws and drafting documents that benefit the firm’s clients both now and that which is anticipated for the future. She is an awesome mother and very important to her family, lovingly taking care of parents that need her. She is a wonderful and loyal friend, and despite her heavy workload and personal obligations, maintains a very positive mindset as well as a sense of humor. She is a wonderful person to know, to work with, and to call a friend. Warmest congratulations! How wonderful that the Michigan State Bar has honored you with its Shining Star Award. You deserve it! You are a pleasure to work with and most efficient. Thank you, Kay. Bruce and I agreed you did an outstanding job at the meeting! We appreciate your attendance, especially on such short notice. I was also very impressed with Kay’s presentation…she highlighted the right key points and informative facts about condominium law, spoke in layperson terms and was very thorough. I appreciate the help that you gave us tonight in explaining in detail so many of the changes made in the bylaws, master deed, etc. Kay, you’ve been great throughout this process and your presentation last night was superb. Thanks for all your hard work. I just wanted to thank you again for taking the time from your hectic schedule to attend our Annual Meeting on Saturday, June 6. You did an awesome job. Because of your efforts we feel confident that the Condo Documents will be accepted. We hope you enjoyed your visit to our community as much as we enjoyed having you. Just wanted to say, I enjoyed listening to you and Mr. Meisner speak at the UCOM seminar. It was very interesting and I did learn a few things. I believe our Association is up on everything(thanks to the law group). Enjoy your day! This is to formally thank you for your help and excellent presentation at our co owner meeting. You made everyone feel comfortable and gave them confidence that updating our docs is the right thing to do. And of course you represented the Meisner Group in exemplary fashion. We’re on our way.